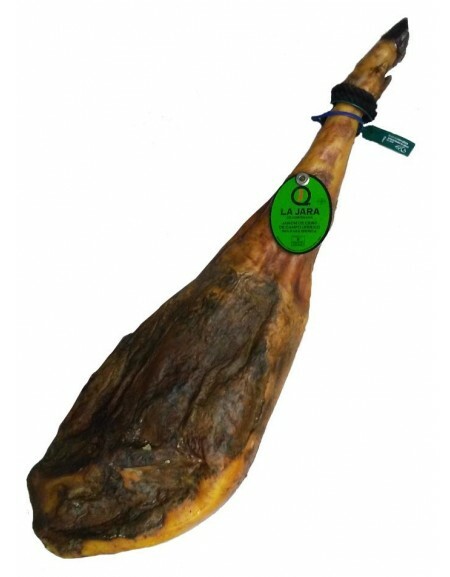 Cebo iberian "La Jara" hams, with two years of healing from the natural drying houses and cellars ham. Cebo Iberian ham with two years of healing from the natural drying houses and cellars ham. Pigs raised in semi-extensive (in the field) and fed with feeds.